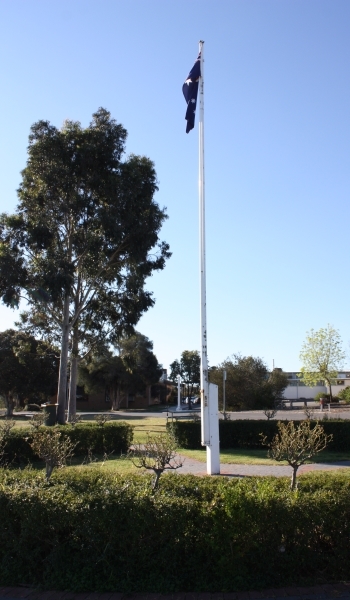 Dimboola Memorial Secondary College (DMSC) was established in 1923 and is unique in the sense that it is the only Memorial School in Victoria. DMSC is a small rural secondary college situated in the Wimmera Region 36 km from Horsham, and drawing around 200 students from an area which extends 35 kilometres. It is a traditional secondary college in its curriculum design but prides itself on its broad senior offerings including VET/VCAL and VCE pathways. It has an elective system at Years 8 and 9, and allows Year 10 students to accelerate into some senior programs. Our German program is very strong and includes an opportunity for involvement in exchange programs. Our Music Program also adds an important dimension as does our ICT programs that are at the cutting edge of educational provision. There is also an excellent sporting program with excellent facilities, and Science and Language Centre, and a school theatrical production each year. We currently have 26 teaching staff. The staff are highly professional, caring, continuous learners, supportive and loyal. Their work is greatly enhanced by the non teaching staff who fill a range of important positions within the school. Everything we do at DMSC is designed to deliver ever improving learning experiences and outcomes that will enable ALL students to leave DMSC with the skills, knowledge, behaviours and values that drive quality life experiences. The "value adding" of the college has been shown in the "2013 School Performance Against Threshold Standards" document, and in the 2014 NAPLAN results. Having an environment of respectful and co-operative behaviours underpinning our educational programs is central to achieving our goal. We have a very strong relationship with our parents and general community, particularly the RSL given our school's memorial status. We also have a very committed School Council which supports, encourages and directs our school in a positive manner.